As I’ve gotten older, it takes me longer to make changes that otherwise would be a “no-brainer”. And, this even goes for things that I know will save me money – like my cell phone bill. But, after reading about Charlie’s experience earlier last year and doing a little research on my own, I decided to take the plunge and signed up for Republic Wireless last August. I wanted to share about my (almost) 5 months of experience with their service and how it’s gone (the good and the bad). If you are looking for a technical review of Republic Wireless, this isn’t it. 4 Would I recommend them? Especially, if you kinda like your existing setup. Before Republic Wireless I had been with AT&T since 2009 and owned an iPhone since about the same time. The setup was good – and I had never really experienced any real issues with either. But, the monthly cell phone bill was ugly. For 3 lines, we were paying about $210-220/month on average. I think many of us are okay with paying about $70 (or more) for their cell phone bill. It’s one of those expenses that has been (as I like to say) “normalized”. We all get used to paying it – and so we just keep it in our budgets and never really do anything about it. After 5 years though – I was done. In late August, I talked to Charlie a little more about his experience with Republic Wireless. He’d been with them since March and had a lot of good things to say about them. So, I finally made the switch. And, let me just say – the whole process went very smooth. I purchased their “middle-of-the-road” phone, the Moto G, and selected their $25/month cell phone plan which includes unlimited talk, text and data on the 3G network. Republic Wireless sent the phone in under a week in their friendly packaging and I activated it using their very simple setup instructions within minutes. This may sound blasphemous, but I actually grew to like my new phone better than my iPhone. It syncs so nicely with my Google account, allows me to type by swiping letters (instead of taping each individually) and “blinks” when a new message/phone call is received. When the first bill came, the total ended up being $29.38 (with taxes/fees). That was about a $40 savings from what we were paying for my line at AT&T. 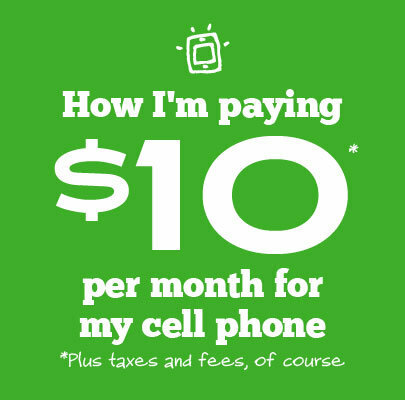 Note: I’m now giving their $10/month cell phone plan a try and so far, so good. With everything – comes the good and the bad. Things aren’t perfect with my Moto G or Republic Wireless service, but I’ve been happy enough with the service that the good outweighs any negatives. Yes. I think Republic is a great way to lower your cell phone bills. I love it for folks who are in bigger cities and/or typically have WiFi in range. If that is the case – you could really save by using their $5 or $10/month plans. Even if you don’t live in a big city – and you aren’t concerned with the occasional “hiccup” here and there (which truthfully, hasn’t been enough for me to want my iPhone back and I know that Charlie hasn’t experience some of the issues I have), Republic is a good bet. I’d love to know your honest thoughts on Republic Wireless and (if you have them) what your experience has been. Update 1/25/15: Republic Wireless was recently rated the best prepaid cell phone provider by Consumer Reports. Update 7/10/15: Republic Wireless now offers the ability to get paid back what you don’t use every month through their Refund program. Update 8/22/15: Since writing this article – I have switched to the $17.50 (with 0.50G data) new “Refund” plan Republic has now instituted. All users will eventually need to move to this new plan by end of July 2016. From those I’ve talked to, they prefer the old plans ($5, $10, $25, $40) – but I am interested to see what I’ll get back every month because I really don’t use that much data as I’m always around WiFi. Update 2/4/16: Consumer Reports again names Republic Wireless one of the best in the MVNO field. Update 5/25/16: Republic Wireless now has new cell phone plans in addition to their refund plan. Plans are listed in the above graphic. Update 1/24/17: Republic announced their Republic Anywhere beta that allows you to send and receive SMS and MMS on your computer, syncs with your phone and works even when phone is off. Bring the phone you love to the nation’s fastest growing WiFi calling carrier and get no cost service for six months. WiFi is everywhere and “WiFi first” innovator Republic Wireless is disrupting the industry yet again with a special offer of six months of no cost service for newly activated phones on its Bring Your Own Android Phone program. Offer ends when RW runs out of SIM cards. We have not been paid for this review – but we may receive compensation if you sign-up for Republic via our link below at no cost to you. I have read so many good points about RE. I’m considering switching from AT&T. I currently have two Samsung Galaxy S7 Edge phones and two Android tablets. My monthly bill is close to $300 a month. My service isn’t that great and I have a lot of dropped calls. However, I live in an area miles from Wifi service. I just hope this won’t be an issue. I plan to use my existing phones and keep my number. Hi Robin. RW is a good service and one of our guys still uses them. Sounds like you could benefit greatly from a switch to them with your current bill. Do you get internet at home that can supply WiFi? Many of these plans also offer data – which can help even if you aren’t on WiFi. Also check into Tello (I use and pay $11.40/mo), Ting or Twigby. Republic is ok if you don’t need a lot of coverage, and if you’re willing to replace your phone about every 18 months. All of my phones with them starting going wonky after that time. But the worst part to me is that they make it hard to leave. Once you switch OUT of Republic, they CANNOT PORT YOUR NUMBER OUT. All of their numbers are classified as land lines, and are not able to be ported to a new carrier. So you’ll have to get a new number if you decide to leave. I decided it was worth it to go through the hassle of a new number – I just couldn’t stand the unreliability of the service any longer. Okay, fellas, you’ve convinced me. I signed up for the $10 a month Republic plan. So far, so good. And I really like my Moto G phone. But you know phones. They’re lovely objects that become worthless when you drop them. Back to the Republic store I go. Ordered an OtterBox to protect my phone. Price wasn’t bad — $50 bucks. Just keep in mind that Republic uses Fedex for shipping, and that isn’t as cheap as the USPS. Now I’m looking for a wireless headset so I can hear the phone well. That’s not a requirement, people. It’s what you do if you’re hard of hearing. I haven’t dropped the phone — yet. But it’s only a matter of time. And that’s why I ordered the OtterBox. 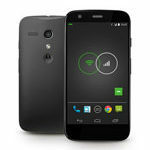 Question for everyone about the Moto phones- do any use a sim card? I live out of the US for part of the year and am looking for a phone that I can switch services to the local service in Central America when I am down there. And, I believe only the Moto X has the ability to add one. The other Moto’s do not. We love our talk and text phones from T-mobile, but you’ve got me thinking seriously about making the switch when these phones wear out. I’ve always touted that we pay no more than $25 a month for our three talk and text phones, but it looks like RW can beat that! I’ve been enjoying Republic Wireless’ service for almost a year now on a Moto X phone (a top-line model). I’ve never had the issue you described when receiving a text with a photo. So that may very well be an issue with the phone you have. I’m still a big fan of Republic Wireless and would recommend it to anyone. Just about the only issue I have with the service is that my phone doesn’t seem to “behave” right when connecting with other WiFi zones outside of my home. For example, if my phone automatically connects with the WiFi at Starbucks, I tend to have trouble accessing email on my phone, accessing Facebook, etc. In those cases, I’m better off when I turn off the WiFi on my phone and just go to the default 3G service. The WiFi at my apartment is great on my phone, though. Have you or anyone else out there had this experience? Hey Adam! I’ve never had the issue you mentioned with the WiFi. Wonder if there could be some type of firewall? I’ve loved RW since I switched in 2013. We finally were able to switch my wife over last month. As for the starting and restarting with texts with pictures, I never had an issue with it with the Moto X, but it’s definitely a problem with my new Moto E.
I also wish I had known the Moto E only has 2 GB of available hard drive and there are a lot of apps you can’t move over to the mini SD card. That being said, these minor annoyances are really all I have to deal with, which is worth saving $50+/month. Thanks for sharing your experience with RW Ben. Must be with those cheaper phones that cough on the text/photos. Definitely drawbacks – but like you say – not enough for me to want to pay $40/more per month. I’ve been using Republic Wireless for a few months now, and my only wish is that we had switched sooner. We were with Virgin Mobile, another Sprint MVNO, and the service there was fine, but by switching we went from a one smartphone and an old grandfathered cheapo flip phone for about $45/month total, to two high end smartphones for$35/month total. Not as huge a reduction since we were already using a pre-paid provider, but in my book it was worth it since I can now have a smartphone with me wherever I go instead of that old flip phone. 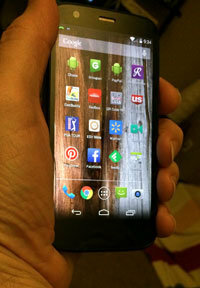 We both have the Motorola Moto X with Republic, which has been an amazing phone. I can’t say I’ve head really any issues, except a couple of times where the WiFi to cell handoff was a little chunky – as in there was a noticeable hiccup while it switched over. That really hasn’t happened often though. 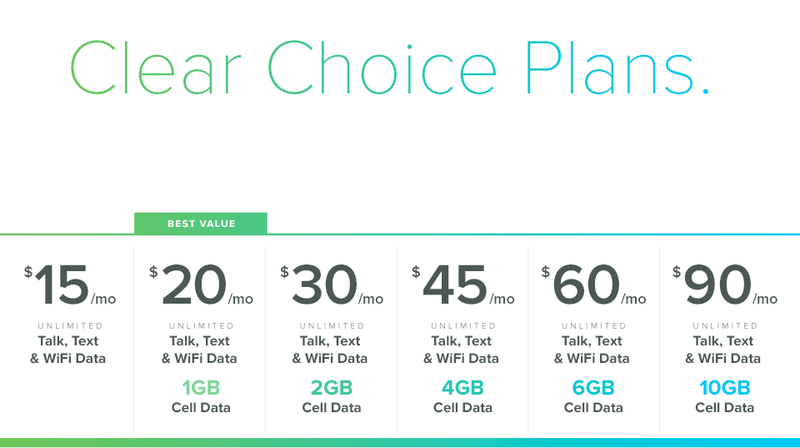 My wife loves her phone, she’s on the $25/month plan – which works for her since she wanted at least some limited mobile data. I went with the $10/month plan because that gives me cell calling and texting, and since I have a free wireless hotspot from FreedomPop, if I need data on the go I just use that. I thought it might be tough on the $10 plan if I wanted to use navigation while on the go (which requires mobile data for Google Maps), but I ended up finding another navigation software that has offline navigation (HERE navigation app) that allows you to download all the maps for your state/area to navigate without being online. I also have realized since I started the $10 plan just how many places actually have open WiFi connections these days from coffee shops to grocery stores. You almost don’t need to pay for mobile data. All in all, I would highly recommend Republic Wireless! Thanks for your thoughtful review of RW. Glad to hear there are others on the $10 plan too who are having success with it as well.